Why Converting Your Basement Can Improve Your Property? No matter what size your home is, there is always the need to add more space. Extensions are popular and so are loft conversions, but if your home has a basement, then this is potentially a large extra amount of space that can be transformed into a usable area a lot more economically. Here’s some ideas for converting your basement and why it can improve your property. For the majority of homes that have a basement, this is used as storage space that is similar to the loft, only it is under the house. They are often a bit neglected and sometimes like the garage – full of things you don’t want to get rid of but that you don’t use often use. While this is a great use for a basement, with the right treatment they can be so much more. They can be converted into a habitable, usable space for anything from an extra bedroom, a TV room, kids’ playroom or even a home office to mention a few ideas. Another bonus to a basement conversion is that you often don’t need planning permission to convert one. You do if you are adding a basement or even for some types of extension but because the basement is already part of the house, you can repurpose it often without planning permission. There might be permission needed if you intend to add an entrance to the basement or windows so always check with your local planning department to be certain. One of the big reasons that people often ignore the basement as an option for extending their home is that it can be a cold and damp space that doesn’t seem habitable or particularly nice to spend time within. However, with advances in waterproofing and damp proofing, this isn’t the way that a basement needs to stay. 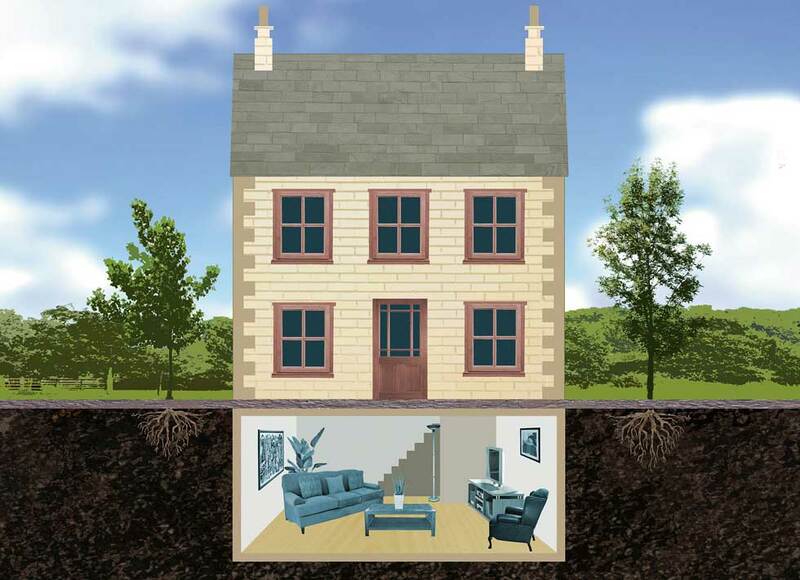 You can contact a damp proofing specialist and they can assess the situation with your basement. Look for a company that is a member of the PCA (Property Care Association) and is certified to ISO 9001 to ensure all the work is done to the highest standard. Also, check their customer reviews and case studies to see they have done similar work in the past. There are different ways to waterproof a basement, depending on external factors. It may include installing membranes and a sump pump to drain water away from the basement walls and take it to other areas. Alternatively, it may involve coating the walls with special structural waterproofing to make them waterproof before any finishing plastering or other layers are added. These steps are key not only to making the basement dry and habitable but keeping it that way for a long time. The first and obvious benefit of a converted basement is that you gain a substantial extra amount of space without major extension work. This extra space can also make your house extremely attractive to potential buyers if you decide to sell it. By showing that the work has been done by qualified experts, you can give buyers the confidence that space will be usable and comfortable for the future. In fact, a properly converted basement can add around 10% to the value of the property, according to estate agents. This might not mean that you make back the money you spend on the conversion, but it does make the house both more attractive and increase the price when sale time comes. The uses for a basement are endless and often more than a converted loft. With a solid staircase in place, these rooms don’t seem like a conversion from another type of space. Here are a few ideas to what you can do with your converted basement. It is easy to make a basement into a guest room, complete with an en-suite bathroom. You can separate off the basement with room dividers to create spaces within the space and it is a perfect place for people to come and stay. You might even want to rent it out to a lodger and make back a little of your investment. For basements with the ability to add windows, the possibility of moving the kitchen downstairs is a very real one. Imagine a kitchen that is most of the size of the first floor of your house – that’s likely a lot bigger than your existing one! 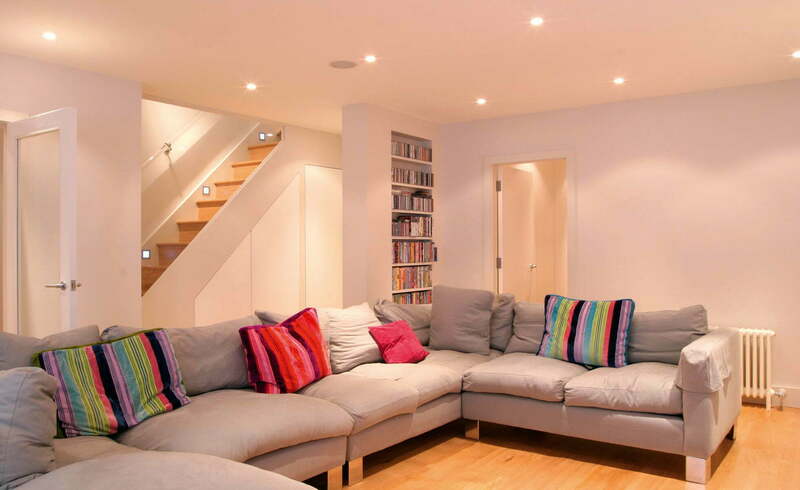 Being a little removed from the main areas of the house, the basement is perfect for an entertainment room. This might mean a home cinema room, a kid’s play area or a place for your favourite hobby or interest. And it is easy to soundproof the walls if you want to play your music a bit louder or listen to your favourite films with full surround sound. The possibilities of a converted basement are endless and can be far more flexible than a loft conversion with its funny shaped roof or an extension with its restrictions. It can also make your home much more attractive if you do come to sell it. See more details about our service here.